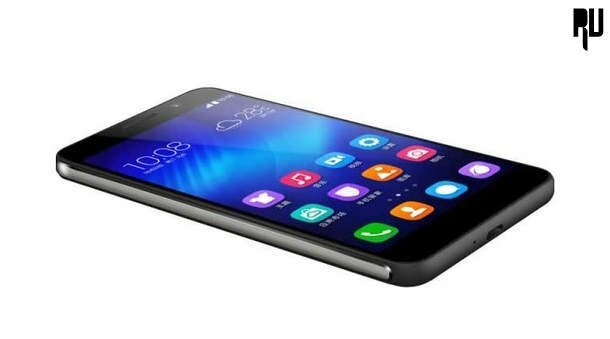 How to Update Huawei Honor 4X to 6.0 marshmallow . Update Huawei Honor 4X to Android 6.0 Marshmallow Officially . 1 Update Huawei Honor 4X to Android 6.0 Marshmallow Officially . 1.1 Android 6.0 Marshmallow Upgrade for Honor 4x . 1.1.1 CM13 marshmallow custom rom for Honor 4x . Do you want to Upgrade Huawei honor 4x to marshmallow 6.0 ? if yes then you are at right place . Today we are here with Android 6.0 marshmallow update for Honor 4x . Huawei Honor 4x was launhced approx 2 years ago in 2014 and sicne then no other update expect android lollipop has been pushed for the device , So today we are here with a guide on how to update the Honor 4x to marshmallow officially . Honor 4x comes with a 5.5 inch Hd screen with a pixel desnity of 267 ppi . Honor 4x is a octa core device clocked at 1.4ghz , Along with this there is 2gb ram . There is a 13 megapixel primary camera and a 5 mega pixel camera at front side . The smartphone still runs on android 5.0 lollipop . So today we are here with a Android 6.0 marshmallow custom rom for Huawei honor 4x . Android 6.0 Marshmallow Upgrade for Honor 4x . To update Huawei honor 4x we will use a custom rom based on android 6.0 marshmallow .Upto now there are no words from the company on The Android marshmallow update date for huawei honor 5x , so installing a marshmallow based custom rom would be the best option . Android N 7.0 Nutella Update list – Name of devices updating . Ram management ( Upto 1.2gb free ) . CM13 marshmallow custom rom for Honor 4x . Here are some points you should take care of before flashing the Marshmallow update on your Huawei honor 4x . This is a official custom rom based on marshmallow by Cyanogenmod . There are some chances of bricking ( Incase if the procedure is not followed correctly ) . It is recommended to make a full charge of your Honor 4x . The warranty will be voided after flashing the custom rom . Download Marshmallow Update for Honor 4x from Here . Place the custom rom in the root of Sd card . Boot the Honor 4x in to TWRP/CWM mode . Now Select the Following options . Now select ” Install zip from sd card ” . Now the installation of rom will start . After installing you will get ” Successful installation ” Text . Thats All you have successfully update Huawei honor 4x to Android version 6.0 . So this was our guide on how to update Huawei honor 4x to android 6.0 marshmallow , i hope this guide helped you in installing marshmallow on your Huawei honor 4x .